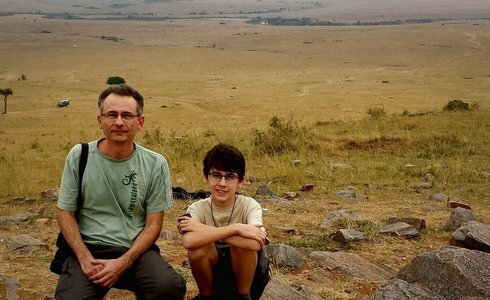 This is the perfect way for parents and children to experience Kenya. The safari is on a private basis and lodges are chosen specifically to accommodate children. Highlights include the Elephant Orphanage, Samburu, Lake Naivasha and the Masai Mara. Upon an early morning arrival into Nairobi transfer to a hotel. After check in, freshen up and visit the Daphne Sheldrick Elephant Orphanage, overlooking the Nairobi National Park. 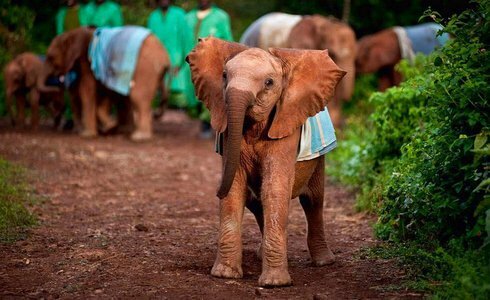 Here expert handlers will introduce you to the lively elephant and rhino orphans. Children will enjoy a close encounter with these lovely creatures, as they come up to visitors to be stroked. 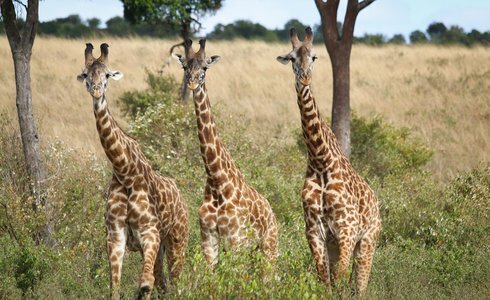 After a delicious lunch at one of the nearby restaurants, head to the famous Giraffe Centre. From its tree-house balconies, you can look these graceful animals in the eye and children will have the delightful opportunity to feed the endangered Rothschild giraffe. Later return to the hotel where the remainder of the day is spent reminiscing about the day's exciting adventures. Transfer to Wilson airport for the scheduled flight to Samburu. Drive in the lodge vehicle, arriving mid-morning at Samburu. 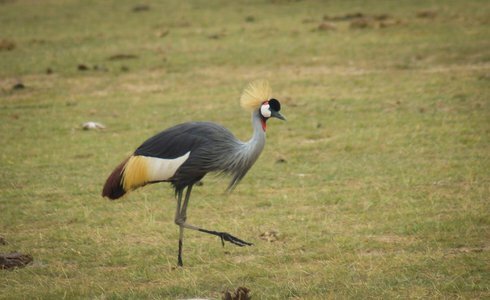 On your Kenya safari, days will be spent exploring the Samburu National Reserve on game drives in search of Samburu famous ‘unique five' (the rare reticulated giraffe, long-necked gerenuk antelope, Somali ostrich, Grevy's zebra and majestic Beisa Oryx), as well as elephant, lion and leopard. While parents are on game drives, children will be entertained at the camp's Adventurers' Club, which offers safe,supervised activities such as treasure hunts, football, volleyball, swimming and many more. 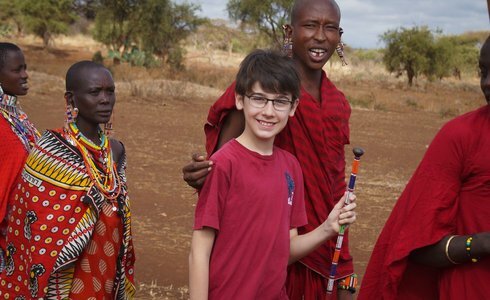 Your family may also take guided walks with a focus on game tracking, go butterfly catching and visit with the Samburu people. Following morning activities, transfer to the airstrip with a picnic lunch for your scheduled flight to Nairobi. On arrival connect to your scheduled flight to Naivasha. Transfer to the lodge followed by an afternoon boat trip on the lake (populated by more than 400 species of bird) and a large number of hippos cooling off in the tranquil waters. 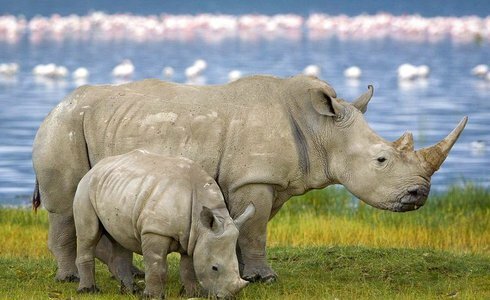 Your safari continues with a game drive to the Lake Nakuru National Park. 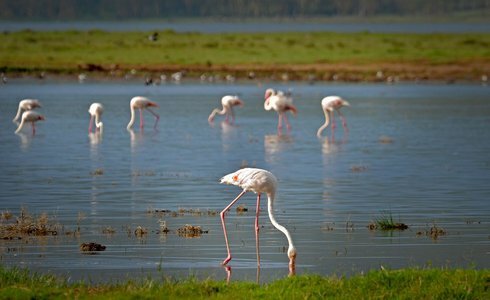 Witness one of the world's most spectacular wildlife sights - the feeding flamingo around the shores of the shallow soda lake, together with thousands of other birds. On the game drive, possibly spot warthog, waterbuck, impala, buffalo, the occasional leopard and both black and white rhino. Return to the lodge in time for lunch and spend the rest of the afternoon at leisure by enjoying all the local activities offered. After breakfast, drive to the Naivasha Ebony Curio Emporium - the largest of its kind in the world, and watch expert craftsmen at work. This is where the country's best work can be purchased at factory prices. Return to the lodge in time for lunch before being transferred to the airstrip for the scheduled flight to the Maasai Mara, where you will be met by a lodge vehicle with a game drive en-route to the lodge. 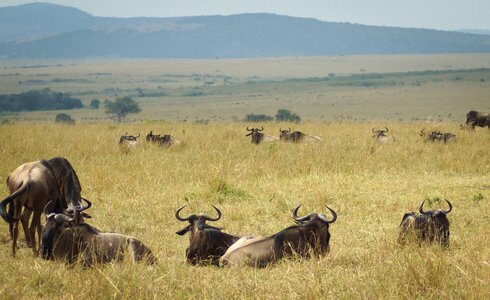 Awake to the sound of wilderness and spend the day exploring this magnificent savannah country, home to Kenya's most diverse animal population. On your Masai Mara safari, you may spot lion throughout the park, along with elephant, giraffe and zebra. Cheetah and leopard are also regularly sighted, and possibly rhino. Young adventurers experience a mammal study on morning and afternoon game drives. Take guided walks with the resident naturalist to identify animal tracks and cast them in plaster. Meanwhile, discover abundant birdlife, and learn to identify bird calls, bills, feet, habitats and plumage patterns. Between game drives, possibly visit a primary school in the local village. Learn the art of beadwork and leatherwork or how to properly throw a spear or start fire with sticks. The day's exciting activities is ended off with a display of traditional song and dance - and scintillating, educational experience the family will never forget. After the morning activity and lunch, fly back to Nairobi, to connect with your onward arrangements.